Shingled Roofing | Cedar Shake Roofing | Slate Tile RoofingNaperville Exteriors, Inc. is widely acknowledged as one of the leading roofing companies in the Greater Chicago Metropolitan Area that provides the most professional and reliable roof repair, roof installation and roof replacement. We have more than two decades of background and experience as roof contractors. In addition, we have been working together as a team for more than 10 years. In contrast to other roofing companies, when you work with Naperville Exteriors, Inc., you work directly with the owner. This ensures that your roofing needs are always addressed in a timely manner. We provide our roofing designs, roof installation and roof repair with our unique workmanship for affordable prices. Most importantly, we are fully insured and a Better Business Bureau A+ certified roofing company! You can depend upon us to make certain your new roofing exceeds your expectations, and that our roof installation and roof repairs will eliminate any future roofing problems. Our roofing contractors know that the work they perform is always a direct reflection of our company’s values. It is not just your endorsement and validation of the roofing job that is at stake; it’s our company’s name. That’s why, with every positive review Naperville Exteriors, Inc. receives, our reputation is further strengthened. It’s no surprise that so many La Grange residents come to see us when they want the best roofing contractors in the Greater Chicago Metropolitan Area. La Grange, Illinois is located in Cook County about 13 miles from the City of Chicago. There are close to 16,000 residents who make La Grange their home. Most La Grange homeowners are interested in preserving the quality of their lives and the integrity of their homes by having Naperville Exteriors, Inc. take care of their roof repairs and roof installations. When La Grange residents come into our offices, they are interested in the fact that our roof repairs and roof replacements will provide them with the kind of protection they deserve at a price they can afford. Plus, our remarkable roofing not only offers long-lasting durability, but our shingles come in a variety of colors to complement their La Grange homes. 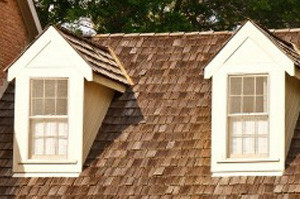 Many La Grange customers like that a Traditional Shingled Roof from Naperville Exteriors, Inc. is cost-effective and has a lifetime warranty and a 100% transferrable warranty. La Grange homeowners who have always wanted a Cedar Shake Roof, but were concerned it was too costly for their budget, will be happy to discover that Naperville Exteriors, Inc. offers Cedar Shake Roofs at highly affordable prices that are also backed by lifetime warranties! On the occasion that you are looking to have us tackle your roof replacement for you once and for all, it’s high time you get in touch with Naperville Exteriors, Inc. Our roof installation will not only protect your home from harmful environmental elements, but it also will contribute to the overall curb appeal of your home. We are well-known for our roof installation of only the finest premium-quality Traditional Shingles, Cedar Shake Shingles or Slate Tile Roofing. Even the most particular customers are certain to be satisfied with our outstanding products and workmanship. You can rely on us to give you the friendly service and professional advice you deserve for your roof replacement. As the finest regional roofing specialists, we are well-equipped to handle all of your roofing scenarios with the greatest of skill and talent! For your roof repair or roof replacement on your home or business, call Naperville Exteriors, Inc., today, at: (630)254-4831. You will be glad you did!